The Apple iPhone 7 is one of the hottest smartphones available in the UK markets these days. If you want to get it on a short budget, prefer to buy a refurbished iPhone 7 UK. The refurbished Apple iPhone 7 price is relatively lower than a brand new iPhone 7. 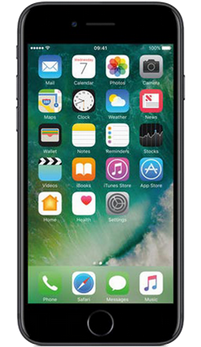 Refurbished iPhone 7 smartphones are factory refurbished phones that have been undergone a refurbishment procedure. Through this process, they get a classy look and also able to work as good as the brand new handsets. This means that you can get a great mobile phone experience within a limited budget. To grab a money-saving smartphone deal, you have found a great place, Comparephones4U. 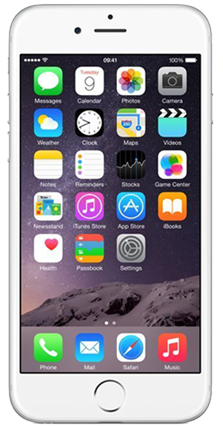 Here we offer a refurbished phones comparison service that lets you get a list of all top exclusive deals offered by leading refurbished iPhone retailers in the UK. Then you just have to pick up the cheapest ever deal. It will surely take hold of your desired phone and save you a lot of money. Mobile phones have become an integral part of our routine lives. There are millions of users across the world and to cater the ever-increasing number of users, mobile manufacturing companies produce new cell phones frequently. They bring some technological advancement and add new features to grab users’ attention to their products and the end result is an unimaginable number of mobile phones available in the market. With so much variety, users get confused while buying a phone. Well, they can avoid this kind of situation as they can simply compare mobile phones on Comparephones4u.co.uk that helps potential buyers in making decisions to purchase the best handset. HOW DOES REFURBISHED APPLE IPHONE 7 PRICE COMPARISON IS BENEFICIAL? Comparephones4U, the UK’s leading refurbished phones price comparison website enables you to compare the best phone deals in a hassle-free manner. It is so because you can take your time and decide by comparing features and prices of different phones online. This can’t be done in an actual online retail store because there are uncountable phones and you have to spend a lot of time to browse all products and choose the one according to your taste and needs. HOW DOES REFURBISHED APPLE IPHONE 7 PRICE COMPARISON WORK? At Comparephones4U, we are proud to use an advanced phone price comparison tool to discover the best ever refurbished phone deals in a matter of second. Our price comparison tool works very simple and provides swift, unbiased results. If you want to buy refurbished iPhone 7 at a cheap price but don’t know the place where to get it, you are at the right place. Here you will definitely find the cheapest refurbished Apple iPhone 7 price that you can’t find anywhere else. 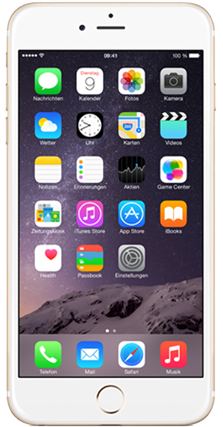 Just choose the basic requirements such as colour and storage space, then click on “See Deals” and you will get a list of top iPhone 7 deals offered by top-rated online retail stores at one place. You just have to select the one and it will redirect you to the retailer website where you can confirm your purchase. Comparephones4u comes up with thousands of deals offered by top smartphone retailers in the UK. We categorise the deals in contract phones deals and SIM free phones deals. Both are perfect to meet everyone’s specific needs and budget. Under the contract deals, you have to sign a contract with your favourite network provider and you are required to pay monthly bill as per the usage on your refurbished phone. SIM-free iPhone deals are god gift for you if you don’t want to get into the contract. Through this deal, you can use your refurbished handset and network service freely all over the world without any tension. Don’t miss to check out our promoted deals if you want to buy a refurbished iPhone 7 at much-discounted price with many other incentives.